One Hundred and One Dalmatians is Disney's 17th animated feature, and as many of Disney's movies had done before, this one used new technologic applications that changed the way animated movies were done. But 101 Dalmatians wasn't only innovative for its technological advances, it was a huge change in Disney animated movies in many aspects. 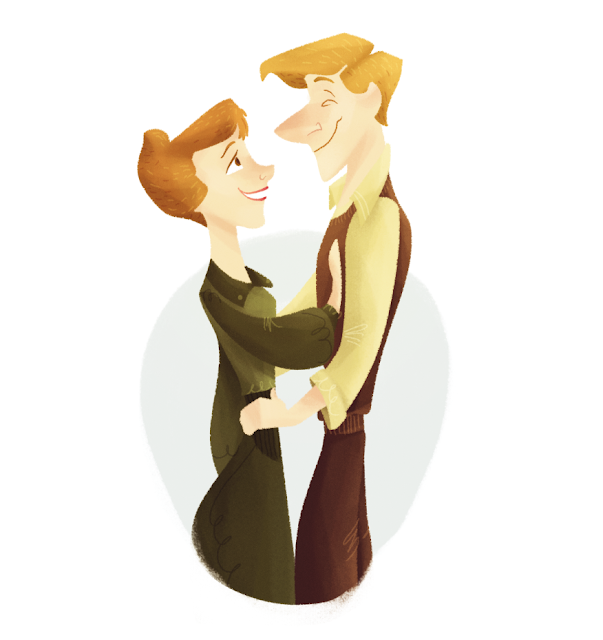 Based on the novel written by Dodie Smith in 1956, the whole adaptation was done by Bill Peet, who wrote the script, did all the storyboard for the film and was even a character stylist. He envisioned the movie so well that when the story adaptation was finished Smith said that Pete's version was even better than her own book. When production for 101 Dalmatians started, Disney Studios were in a bit of financial problems, since Sleeping Beauty had not had as much revenue as Walt had thought (the movie was incredibly expensive to make), so the team at Disney had to think of a cheaper way of making animated movies. Just around that time, the first Copyflo was invented by Xerox. One of Disney's animators, Ub Iwerks (who was responsible for Mickey Mouse's first design) thought of a way of using the Copyflo to speed up the animation process. 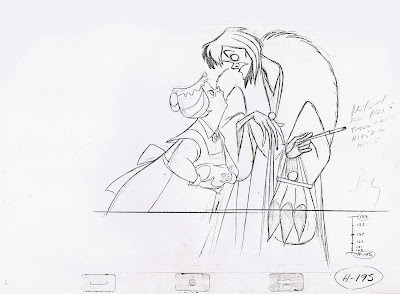 The machine allowed Disney animators to copy their drawings and print them on celluloid paper, instead of having someone paint the lines by hand. 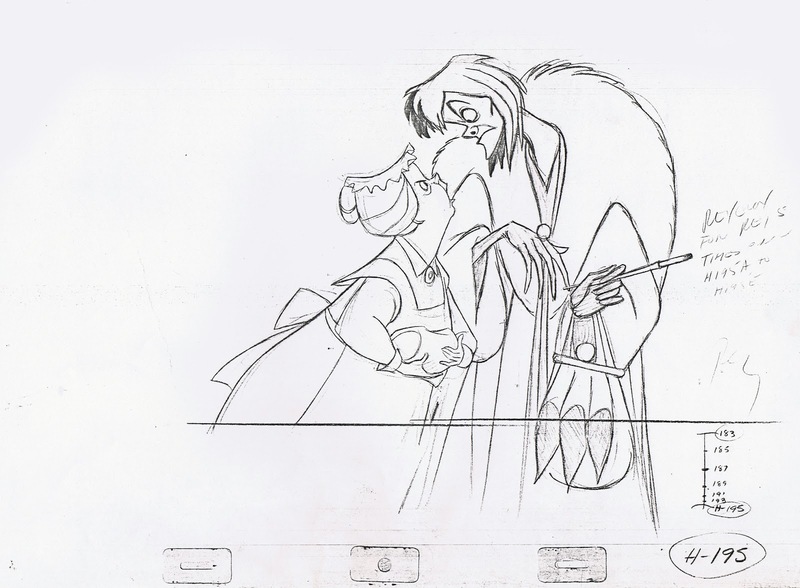 Disney animators were asked to have cleaner drawings, since those would be the ones used for the final product. Some animators had their drawings cleaned-up by someone else, but animators like Milt Kahl actually got angry if their drawings were changed. Son most of his scenes are rougher than the others. The process resulted in rougher lines, but also more dynamic scenes. 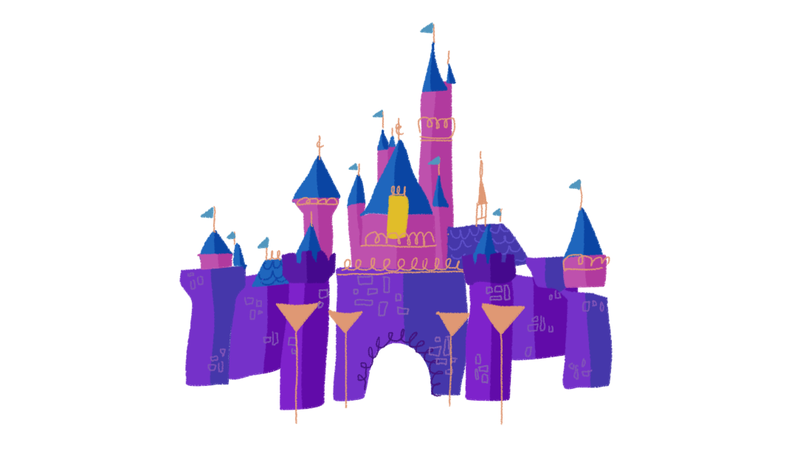 A lot of Disney employees were fired, since there was no need for so many cell painters. 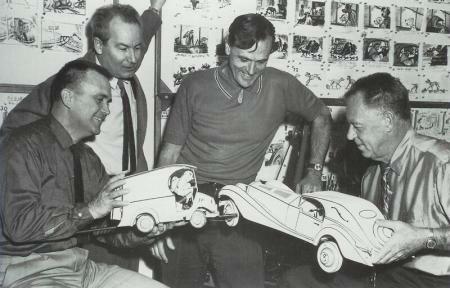 To help animators bring the various cars to life, a series of model cars were built. Instead of having them colored, the models were completely white with the exception of a few black lines on the edges to give the impression that the models were actually drawings. Using the same Xerox technique, the cars were photographed and printed on celluloid paper. If you look closely there are some sequences where the cars even look a little bit weird compared to the rest of the scene. 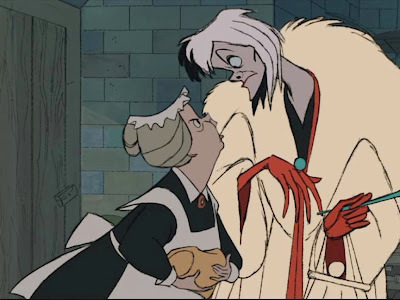 In many ways 101 Dalmatians was completely different to previous Disney Features. First of all it's not a musical. Although music is really important for the film, it's not a classic score but jazz music. Also, the story is a contemporary one. Instead of having fairies and fantasy locations, the story is set in London during the time the movie was produced. So the whole feeling of the film is really different. And finally, aesthetically the film is as beautiful as any modern art piece. 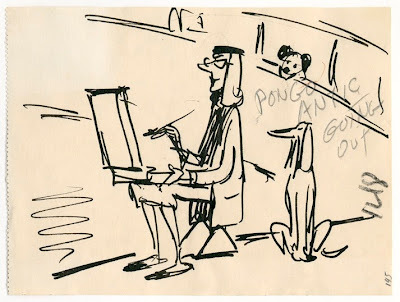 The style of 101 Dalmatians was developed by Ken Anderson and Walt Peregoy, inspired by great illustrators from that time such as Ronald Searle. The backgrounds were so different from any other Disney movie that Walt Disney didn't like them. No, some interesting easter eggs that can be found in 101 Dalmatians. First of all, most of the dogs from Lady and the Tramp appear on the twilight bark scene. Next, the tv show What's My Line appears on Jasper and Horace's TV. Walt Disney was a guest star at the show in 1956.